Months before the AAC&U’s challenge, St. Scholastica became only the second private college in Minnesota to create a cabinet level position charged with leading the institution’s inclusion and diversity efforts. 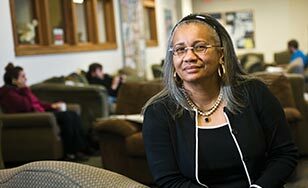 Last May, President Larry Goodwin named Patricia Pratt-Cook as Chief Diversity Officer. In addition to her role as Vice President of Human Resources, she is now also leading the Office of Inclusive Excellence. “Inclusion is mission critical,” Pratt-Cook said. “It’s fundamental to St. Scholastica’s academic excellence and to the career success of our graduates … I’m charged with ensuring that a framework is in place that results in an integrated approach to achieving institutional quality and excellence infused with diversity, equity and inclusion. As a Catholic, Benedictine institution grounded in Catholic social teaching, inclusion is about creating a campus environment in which any individual or group will feel welcomed, respected, supported and valued”. Creating that atmosphere sounds easy enough. Yet the reality is that higher education was not originally created with the needs of women, people of color, people with varying abilities and other ‘differences that make a difference’ in mind. That’s where St. Scholastica’s heritage is key. “The Benedictine Sisters of St. Scholastica are trail-blazers who have been advancing diversity through educational opportunities for women since before women even had the right to vote,” said Pratt-Cook. “We’re honoring our tradition by ensuring that all students from historically marginalized identity groups have access to the quality educational experience we know St. Scholastica delivers. But accessibility is not enough - students of multiple identity groups must really want to come here, which is why an inclusive climate is so important.” The Board of Trustees recently echoed that, when a new goal to “Become a more diverse and inclusive community” was recently added as one of the four Strategic Priorities of the College. Indeed, demographic changes are happening fast. In 2012, 16 percent of Minnesota high school graduates were students of color, but in just nine years that figure will climb to 23 percent, while the number of white high school graduates will continue to decline indefinitely. In Duluth and Northern Minnesota, the number of people of color doubled between 2000 and 2010. By 2018 there will be no majority racial or ethnic group among American schoolchildren. This means that recruiting diverse students is not just mission-critical, but imperative to all of St. Scholastica’s programs and campuses, and to sustaining St. Scholastica’s traditional undergraduate program in Duluth. While Admissions and Diversity staff have been collaborating to build relationships with diverse communities and schools, a group of faculty and staff led by Student Affairs have been quietly working for three years on Multicultural Organization Development (MCOD), an institutional change process that is intended to foster an inclusive learning and living environment for all students, regardless of background. Emily Johnson, who serves as Director of Inclusive Excellence under Pratt-Cook, couldn’t agree more. She describes a recent national conference in which she heard a guest speaker from Ernst & Young. Pratt-Cook is preparing to deliver that data, with a complete audit of all diversity and inclusion-related efforts the College has made to date, including a focus on how St. Scholastica can improve diversity learning outcomes for all students. Everything will be evaluated: Programs, support services, curriculum, co-curricular/student life programs, marketing, business policies, recruitment, screening and selection, employee professional development and more. Another outcome will be a gap analysis with recommendations that will ensure the College can formulate a diversity strategic plan that addresses inclusion issues many years into the future, positioning the College to further advance the MCOD process. Pratt-Cook emphasizes that the work cannot be done in silos, and will require support from the entire community. “To infuse inclusive excellence throughout all aspects of the institution, the effort must be on an institutional level and sustainable.